Premium quality grain cowhide with keystone thumb and shirred elastic wrist. 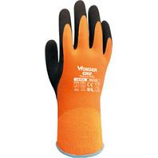 40g thinsulate lining. . . .
Eco-friendly water-based polymer polyurethane (ppu) palm coating.. Five times more durable than gloves with standard polyurethane coatings without the harmful dmf found in standard pu. 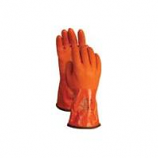 Coating is silicone free gloves do not leave fingerprints. Eco master coating is also approved by the fda for food handling. .
Latex double back coating. 13g brushed piled acrylic liner. 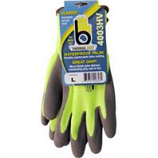 Waterproof can be used in situations requiring dexterity in wet conditions. 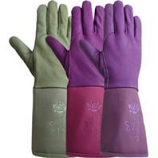 Extra cold resistance maintains dexterity and comfort while keeping the hands warm. Have a sponge-like forms that create a suction effect much like an octopus' suction disks. Latex double back coating. 13g brushed piled acrylic liner. Waterproof can be used in situations requiring dexterity in wet conditions. 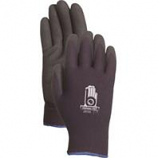 Extra cold resistance maintains dexterity and comfort while keeping the hands warm. Have a sponge-like forms that create a suction effect much like an octopus' suction disks..
Two layer seamless insulated knit liner inner layer 100% acrylic outer layer 100% nylon.. Water repellent hpt(hydropellent technology) pvc coating is breathable to reduce perspiration.. Warm and water repellent with good dexterity.. . .
13-gauge nylon knit outer shell with insulating acrylic liner. Durable textured natural latex palm protects hands. Excellent grip wet or dry. . .
Knit jersey fully lined for added warmth. Ribbed knit cuff machine washable. Flexible and comfortable with twice the grip. We think you'll be impressed with the premium quality construction and materials durability comfort and fit. Fits like a second skin. • Wears Like Iron, Outperforms Leather! 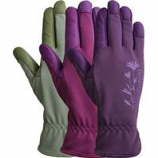 Pvc coated glove stays flexible to -4 degrees f. Soft fleece liner adds warmth and comfort. Textured coating provides excellent grip. 100% water proof. Keeps hands warm and dry. Premium natural leather palm and fingertips. Leather is drum dyed a natural finishing process with a softer feel. Breathable spandex back with embossed logo and shirred wrist. Three assorted colors. . Premium natural leather palm and back. Leather is drum dyed a natural finishing process with a softer feel. Protective canvas gauntlet with embossed logo. Three assorted colors. .
• Warm and Water Repellent With Good Dexterity.